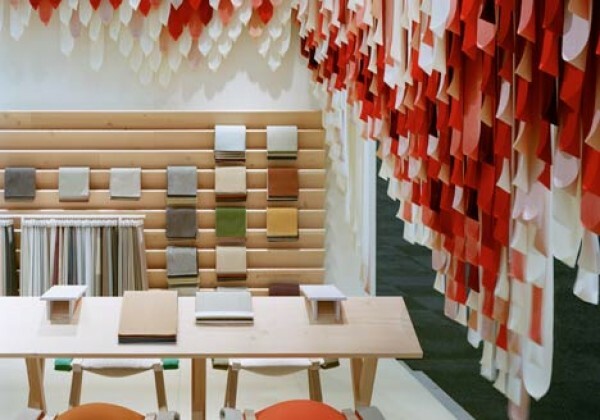 Wooden cabin, soft roof tiles, fish skin and picnic under a weeping willow, all mixed in a massive pot with Kvadrat swatches. 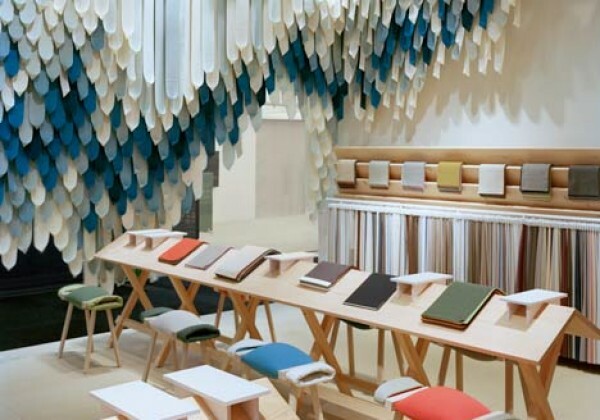 Served within a commercial fair with our aspiration to create a bit of relaxing surreal situation but very warm welcoming. 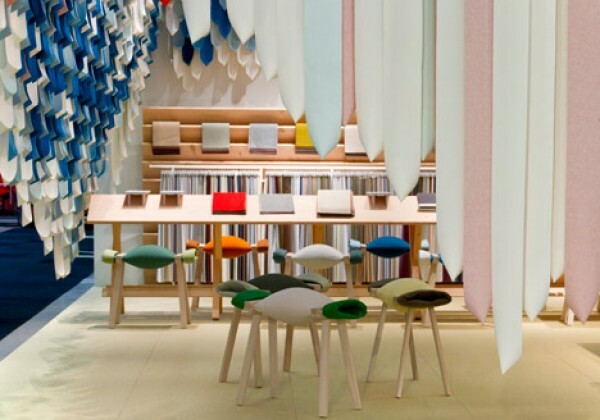 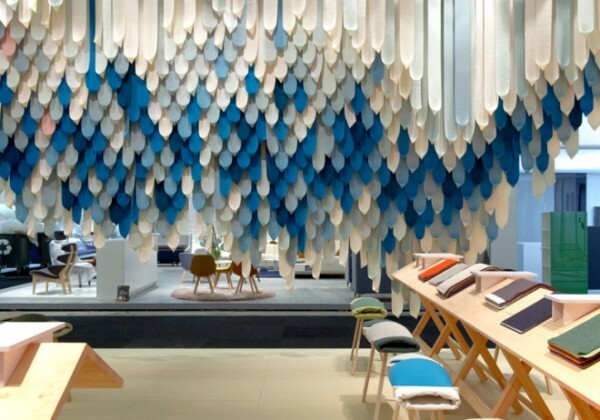 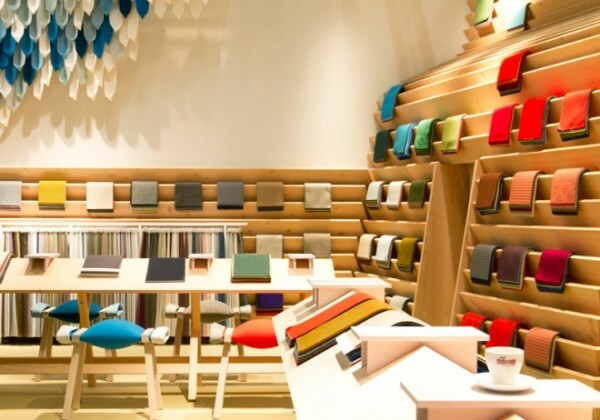 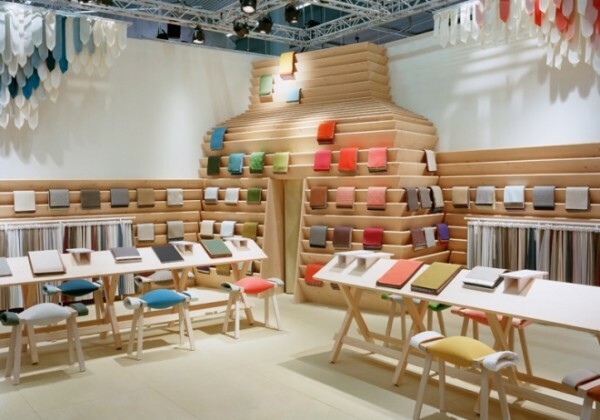 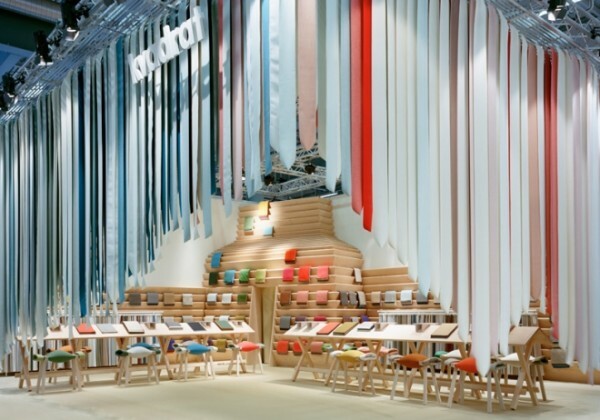 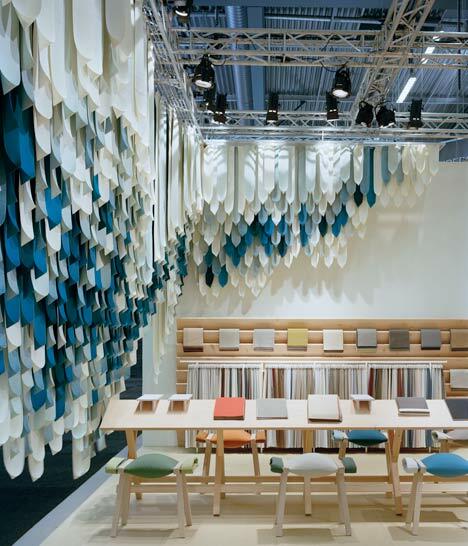 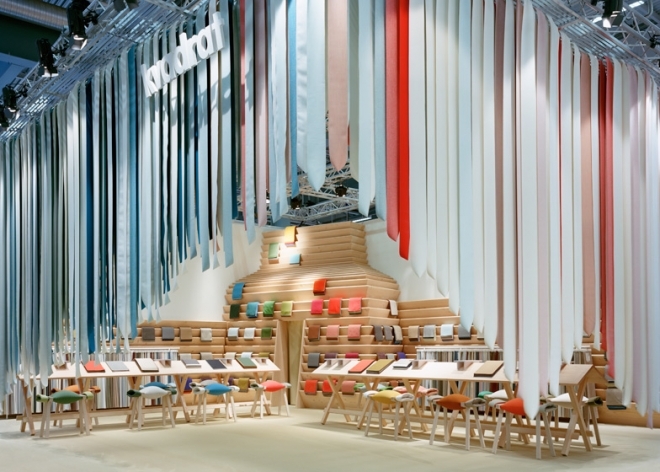 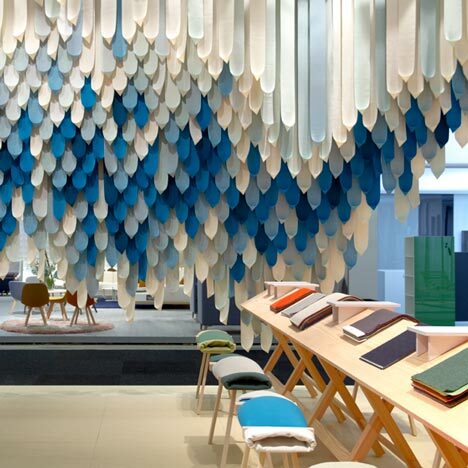 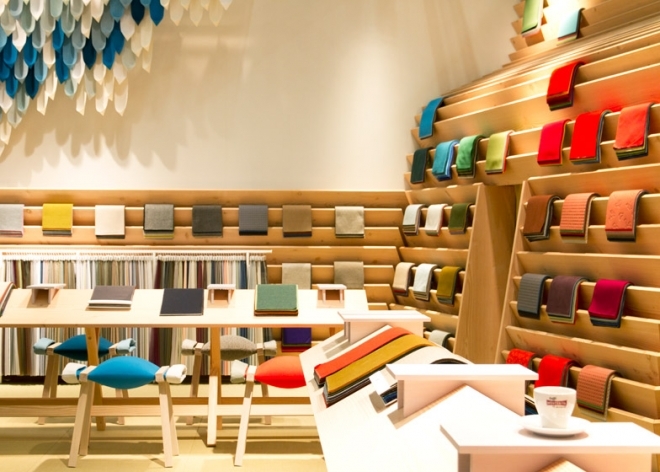 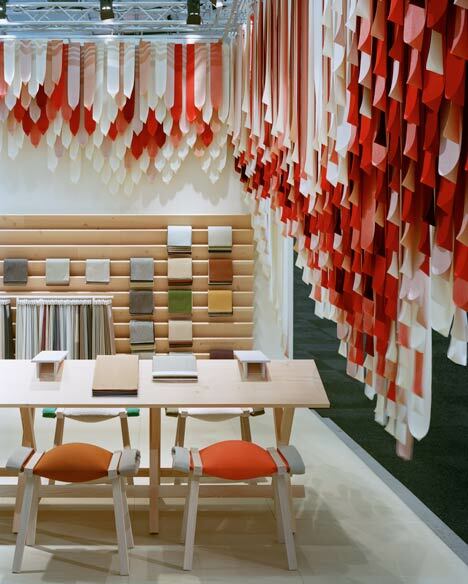 Renowned design due Raw Edges has designed the Kvadrat stand for the Stockholm Furniture 2013. 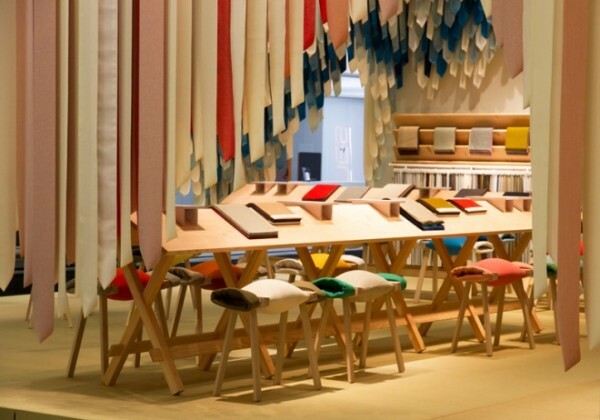 ‘The Picnic’ features a massive wooden construction of Dinesen Douglas Fir and a textile installation consisting of 1,500 straps made out of a selection of twenty different Kvadrat textiles. 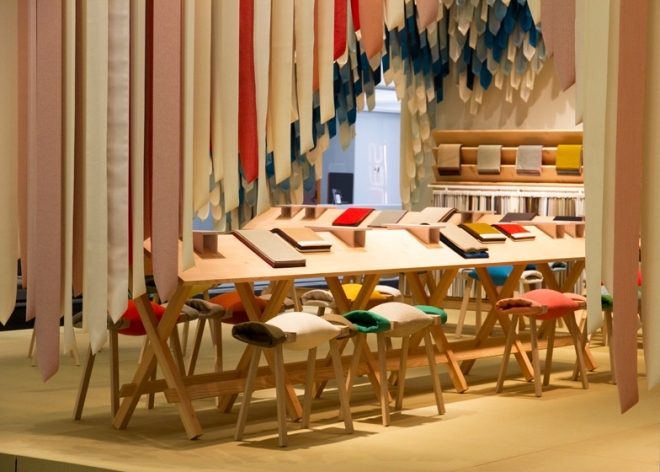 The stand is build out of two main elements: the wooden structure and the textile straps hanging from the ceiling. 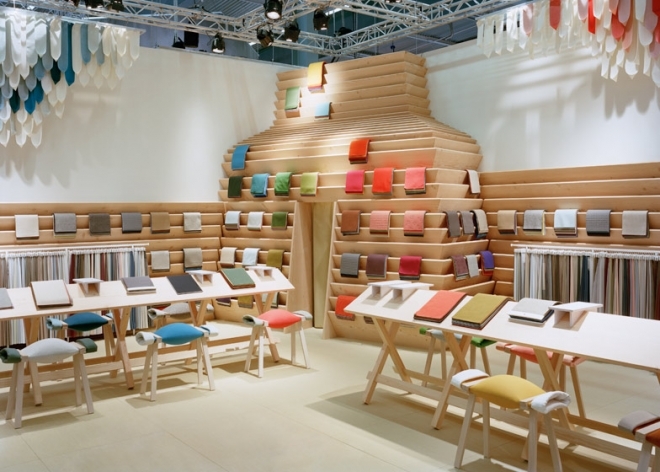 The wooden structure functions as display for the Kvadrat swatches and corresponds with the appearance of a wooden cabin. 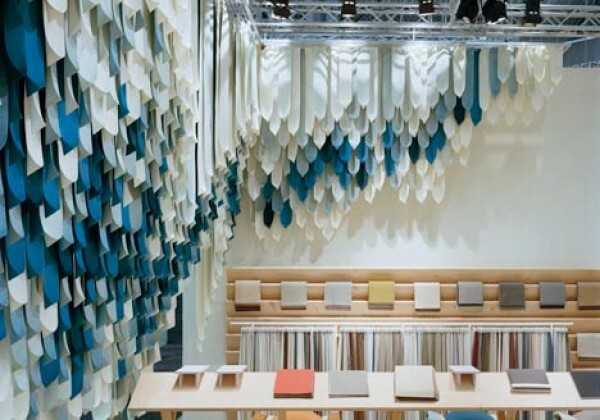 Made from Douglas Fir from the Danish floor company Dinesen, the horizontal wooden panels have been angled in such a way so it can hold the textile samples allowing the visitors a closer look. 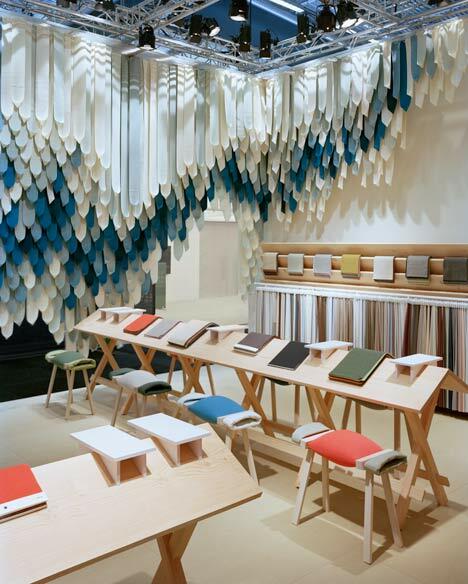 The impressive textile installation resembles vertical roof tiles and create a three dimensional volume. 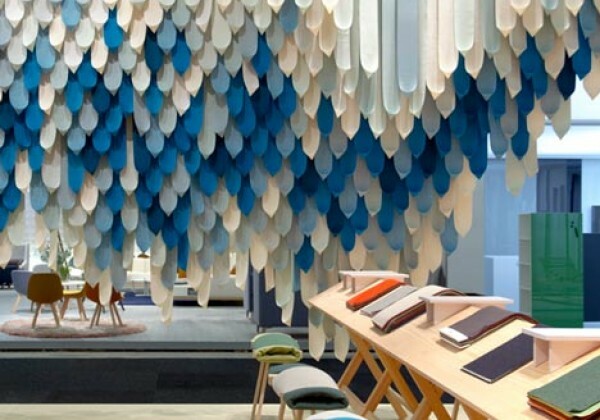 Functioning as a space divider it was inspired byweeping willow trees, creating an intimate space within the big exhibition hall.